Have you ever wanted something so bad you could taste it? Well I have, and ironically food is exactly what prompted me to go after it. All my young life growing up, I was the “skinny” one. My parents were forever trying to get me to eat more, apparently afraid that my tiny little body was going to waste away. So needless to say, I ate WHAT I wanted, WHEN I wanted. Fast forward 20+ years to a middle aged mom of 3 with a weight problem. I guess you could say I was destined to battle with my weight. After all, my mom had been fighting the scales since she was a young adult, and each of my sisters had struggled with the same problem. _ One day, my mom, my sister and I sat down and decided to change our lives for the better. We knew that it would be a lifestyle change for all of us. Our eating habits were horrible, we weren’t getting any exercise, and we all needed to start making our good health a priority. So after having our “last supper”, we walked in to a Weight Watchers meeting on March 13, 2003. We all had different goal weights in mind, and each had a different amount of weight to lose. The one thing we did have in common was the will to lose unwanted fat and get healthy. 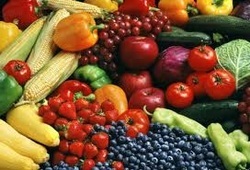 _ We started out slowly, learning how to replace fried foods and sweets with healthy proteins, fruits and vegetables. None of us could even fathom incorporating exercise in those early days. We were starving as our bodies tried to figure out what in the heck we were doing! The weight started coming off….fast for some of us (Mom), and slower for others (Me). We were learning more each week, getting tips from our fearless Weight Watcher leader, Nadine. She told us how to maximize our vegetables so we wouldn’t be hungry. She helped us avoid “slippery slopes” and showed us how to forgive ourselves when we did fall. _ After six months, we had lost 188.80 pounds collectively. No, that is not a typo! We were working hard, and it was starting to show. By then, we had incorporated exercise into our daily routine. We walked, we worked out and we felt great! We also wrote down everything we ate. Have you ever kept a journal of everything you eat in a typical day? It is the BEST way to know if the food you are consuming is the right stuff, and if it is giving your body the energy you need. _ We were becoming Weight Watchers superstars! The three musketeers! Every week was a weight loss celebration for one of us, sometimes all three. I can’t tell you how GOOD we all felt. March of 2004 came, and we celebrated the one year anniversary of our new lifestyle with a total combined weight loss of 260.6 pounds!! Over the next few years, I maintained my weight loss, and my mom and sister continued on their journey toward their goal. In this endeavor, family support was the key to our success. _ In the past five years, we have each gained some weight back, sometimes losing it again, sometimes not. Living a healthy lifestyle is not easy, and it isn’t a given. We have to work at it, and we have to constantly remind ourselves that our health is the most important thing to us. Back then, we were all mesmerized by the numbers on the scale…now it is about the other healthy numbers (blood pressure, cholesterol, etc.). Ultimately, we know that we can do anything we put our minds to, and being a healthy family is the best way to put that to good use!